It seems that ethnic dolls have been pushed aside in the world of doll collecting, but these dolls are still a great favourite of mine, they are my "Nations of the World United in Peace". My collection started many years ago when I was filled with dreams of travelling to far away places and an intense desire to learn about the people who lived there. Opportunity knocked when I came across a pen pal column in "Junior Digest", and with address in hand I made my first trip across the world to Japan via the mails. 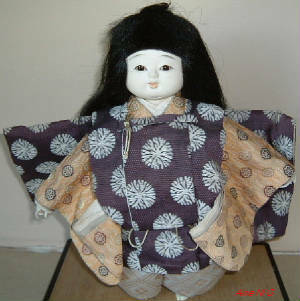 Through this contact I acquired my first doll which was a Japanese wooden Kokeshi doll. And so, I began a doll collection. Each year I added more and more dolls. 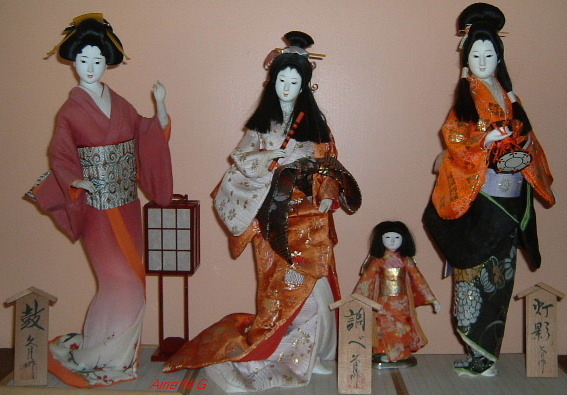 My collection became a varied one consisting of national costume, historical, artist, modern, and antique dolls. Personally I prefer International and Regional costume dolls, as our world past and present are recorded in these little dolls, they are a wonderful teaching tool, history, geography and cultural studies are a never ending fascination to the ethnic doll collector. 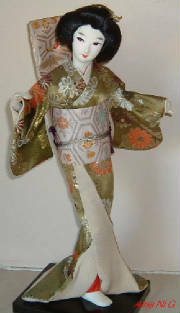 I think these very colourful and richly attired dolls deserve more than a second glance.